Rumour No. 1: Manchester United are to lure Real Madrid misfit Karim Benzema to Old Trafford in the summer with the promise of regular first team football. Benzema has been kept out of the starting eleven at the Bernabeu this season by the form of Gonzalo Higuain, and the Frenchman is already looking to move on despite only joining Los Blancos last July. Rumour No. 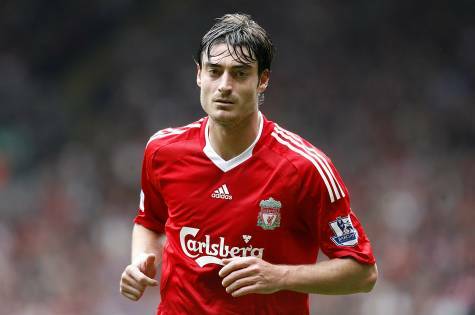 2: Spartak Moscow coach Valeri Karpin has ruled out signing Liverpool outcast Albert Riera before the Russian transfer window closes today due to a failure to agree personal terms. Spartak were in talks to loan the Spaniard until the end of the season before completing a £5 million transfer come summer, but Riera’s exorbitant wage demands have rendered such a move impossible. The Best of the Rest: Sporting Lisbon are to make a move for Chelsea’s reserve ‘keeper Hilario in the summer. Feyenoord winger Georginio Wijnaldum has said that joining Liverpool would be ‘a dream come true’. Sunderland are planning a huge £15 million bid for Udinese midfielder Simone Pepe. Olympiakos, Fenerbache, Palermo and Fiorentina are all hot on the heels of Blackburn’s Morten Gamst Pedersen. Nigel Reo-Coker is quite happy to sit on his arse for the remaining year of his contract at Aston Villa, even though the club are keen to recoup at least a small amount of the £8.5 million they payed for him. Wolves, Tottenham and Fulham are tracking £2-million-rated Southampton starlet Adam Lallana. Newcastle are ready to sign Marlon Harewood on a free transfer, after the Aston Villa striker enjoyed a successful loan spell at St. James’ earlier in the season.